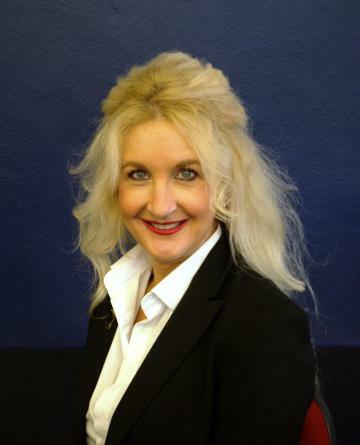 Robyn commenced her real estate career in 1999 at Titheridge Real Estate and specialised in sales of residential property for seven years. In 2006, Robyn commenced her role as Residential Property Manager. This teriffic home is located in close proximity to High School and Shopping precinct. Centrally heated throughout and all four bedrooms have built in robes with ensuite to the master bedroom. There are three living areas including kitchen and meals area, family room and front lounge room. The kitchen has gas cooking and new dishwasher. There is a family bathroom with bath, shower and separate toilet. The fully enclosed yard has an undercover area, single lock up garage and double carport. Situated very close to schools and shopping precinct. Bright open living area with gas heating. The updated kitchen has gas cook top and electric oven. A large sun room at rear of home, master bedroom with built in robes, the two other bedrooms of good size. The bathroom has a bath and shower and a separate toilet. Enclosed yard with single garage and carport. Large 4 bedroom family home. Spacious living areas, master bedrooms with en suite and walk in robe, Built in robes in other 3 bedrooms. Gas central heating. All modern appliances, electric oven, dishwasher, direct access from double remote garage. Large enclosed yard. NO PETS. PLEASE CONFIRM YOUR ATTENDANCE OR THE INSPECTION WILL NOT GO AHEAD. 2 Bedrooms plus bungalow (3rd bedroom) situated in popular Alfredton located close to schools and shopping area. Renovated internally, single garage on spacious allotment. No Internal Smoking. Please phone the office to register for an inspection time. 4 bedroom executive home in quiet court, gas stove, electric over, dishwasher, main bedroom with en suite and walk in robe, gas central heating throughout and double garage with remote doors.This family home is sure to rent quickly, book your inspection today! This 3 bedroom executive B.V. Beautifully fitted out with quality fittings, central heating and neutral decor. Stainless steel appliances, including dishwasher, electric oven and gas cook top. 2 living areas, en suite and WIR to master bedroom, BIRs to 2nd and 3rd bedrooms. Large laundry with ample cupboards. Double remote garage. All set on a low maintenance allotment with rural backdrop, close to schools, sporting and recreation facilities. No Pets and No Internal Smoking. Please phone the office to register for an inspection time. Brand new executive 4 bedroom town house situated in the popular Chase Estate Alfredton. Comprising of open kitchen meals and family area looking out to a private courtyard with access to the double remote garage. The well equip kitchen has dishwasher, gas cook top and under bench electric oven. There is a spacious laundry and powder room. The Master bedroom with WIR and en suite is located at the front of the home with 3 other bedrooms upstairs all with BIR’s. Also located upstairs is a family bathroom with shower, bath, vanity and separate toilet as well as a second living area and study nook with double glass doors to a small balcony overlooking the parkland. Central heating throughout completes a very comfortable stylish home.